Home#MyMontrealAre you ready to “Pack Small – Think Big!” ? 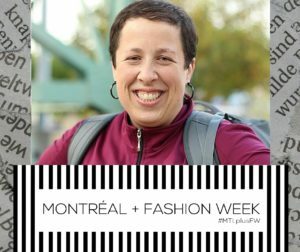 I am glad to announce that I will take part to the 2016 Montreal + Fashion Week, the first bilingual Plus Size Fashion Week in the province of Quebec! I will be presenting my brand new conference Pack Small – Think Big! 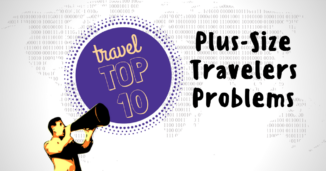 – How plus-size travel can empower you in your everyday life, in which I share how backpacking a few weeks a year can completely change your daily routine in numerous ways. This presentation was written for this event and will share some light on psychological aspects of plus-size backpacking. 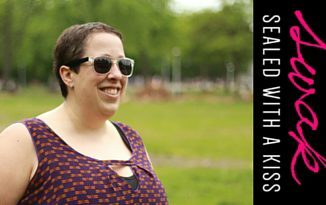 How can travel empower plus-size women and enhance their self-esteem? (I can’t write too much, otherwise, I would sell the punch!) The goal is simply to inspire and motivate women. To let them know that not only is it possible to backpack at every size. 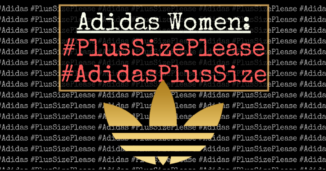 I want to demonstrate how plus-size women can benefit from traveling this way. Needless to say, I was extremely proud to be asked to take part in this event. The Montreal + Fashion Week wants plus-size women to “recognize themselves on a stage” and “realize their potential” in a judgement-free atmosphere. Those values and goals are very similar to the ones I have been promoting on this blog and in The Ultimate Guide to Plus-Size Backpacking. The event was founded by Montreal’s very own plus-size fashionista, Emily Roy, the blogger behind Entre Montréal et New York (Between Montreal and New York). Many plus-size personalities will be present for the occasion, including model Rosie Mercado (the face of i.b.b.i collection), Sarah Taylor (current Miss Plus Canada) and numerous designers from Canada and USA. See you at the Crowley Arts Center on May 20-21-22!